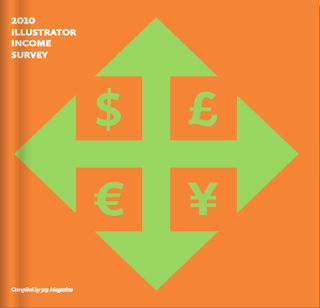 We are pleased to release the first annual Illustrator Income Survey; this 88-page book details the incomes of 616 illustrators from all over the world. Easy-to-read charts and graphs detail income information by country, age and gender. You’ll discover what the top illustrators are making and where they live, how many illustrators gain the majority of their income from illustration, what percentage are also educators, graphic designers, animators. And how many have interns or employees, how many have health insurance and what their relationship with reps is. We’ll also give you the high and low income for each country as well as the average income for illustrators in the United States, Canada, the United Kingdom, Europe and Asia. And you’ll find there are quite a few surprises. If you’d like to learn more about illustrator income you can order our print-on-demand book available from Blurb, $30 or a downloadable pdf available from 3x3, $5. Thank you to all those who provided their information for our first income survey. If you’d like to particpate in our next survey please contact us at info@3x3mag.com with the subject line, Survey. 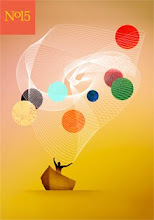 Those who participate in our survey will receive a free copy of the results. $6 dollars in "shipping" for a $5 downloadable PDF? It's $16 to download it to the UK. That's not right is it? is it prossible to see an extract of the book. Don't like to buy unseen things. 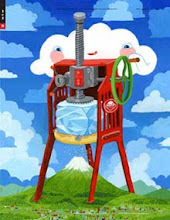 I always like your blog because you always comes with different ideas and information. I always shared your site post with my friends. Keep posting and i will follow you..